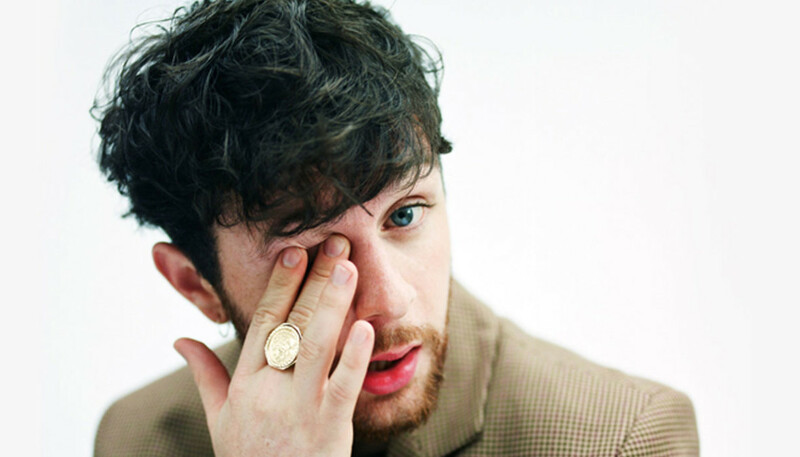 With his debut album landing, we caught up with rising British singer-songwriter Tom Grennan. The hotly-tipped artist tells us about his first time singing live (drunkenly at a house party), his hopes for the record, and his attempt to break a world record. Talk to us about “Barbed Wire” - what's the inspiration, what's it about? It's a song that I wanted to write - just an uplifting song really. A song that literally means...barbed wire is quite a dangerous thing, isn't it? It's one of those ones where I wanted a song that could break down any barrier. We could do it as one. So if “Barbed Wire” is about not letting anything hold you back, is that something you've experienced? Yeah definitely. From being young there's always been times where people and things have got in the way - “Barbed Wire” is the song I wanted to write about not letting that happen, and having the chance to break down barriers and do it with loads of people - not just myself. And your debut album is here - are you nervous or excited to hear people's reactions? I'm more excited than nervous, but I've got that feeling of butterflies in my belly. 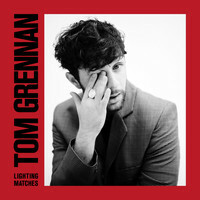 I'm just ready for it to come out now - ready for people to have the album and make it theirs, to get people's feedback. I want to know what they think, what songs are their favorite songs. This is the enjoyable part now. Yeah and I think it's ready to go. I just hope it does what it deserves. But if it makes two people happy then I'll be happy - but if it makes a load of people happy then I'll be even happier. Do you have a favorite track from the album? I've got a few favorite tracks for different reasons. I just listened to the record again like two days ago, and the last song on the record “Little By Little Love” is a song that really rounds it off nicely. It's a nod to my childhood, it's a nod to where I come from - it just sums up the whole album really, and I really like it. It feels like a a Glastonbury moment. Then obviously once it's out you'll go on tour - you seem to be playing everywhere! Is there a particular city you're excited to play? I'm looking forward to playing all of them - I'm obviously really excited to play London and Manchester. But all of them - they're bigger venues now, there's gonna be a lot more people there. The energy's gonna be bigger, all of it is gonna be wicked. Is your guestlist for the London one a bit mental, with friends and family trying to come and see you? Yeah I think so - I think the guestlist for Ireland will be even bigger. That's where my dad's from. So half of Ireland will be coming out? The whole of Ireland will be! What are you like at festivals? Are you someone who hangs out in the artist's village or do you have to rush off - do you ever get to hang out with other people on the bill? At the moment not really - to be fair festival season has only just started, so not yet, but when I get the chance to I definitely will. Tell us if this is true or not, because we're not sure how much you can trust what you read on Wikipedia. But the Kooks song “She Moves In Her Own Way” is 12 years old, and we read that they were the band that are linked to you getting started in music? That is true. I got really really drunk at a party, and did karaoke - and “Seaside” was on there. That was the first time I ever sung. And the Kooks were the first band I ever saw live, so they are definitely a band who have something to do with why I'm doing this. Tell us about your world record attempt? I'm attempting to do the most gigs in 12 hours. Uh, I just thought it would be something cool to do! And I want to be in the Guinness Book of World Records. It's a proper Christmas present that (Laughs). So yeah I'm attempting to do the most gigs in 12 hours...to be honest, I don't know where [in the UK] we're going. But it's gonna be good. Have you done your homework - do you know who holds the current title? No, I don't. I think someone does hold it, but I know that we're going to break it. And you need a certain number of people to watch, is that right? Yeah I think you need ten people to watch, you need to set up a lighting rig, I think you need to play more than four songs. The only thing I'm nervous about is the traffic! We're going to have to get the bus driver to put his foot down on that pedal if we want to make it. And how will you celebrate when you do it? I don't know, I'll probably celebrate by going to bed - I'll be knackered!